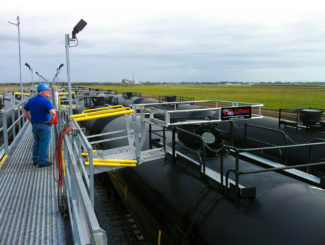 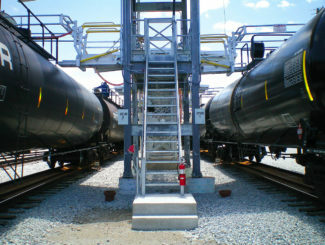 While the hatch openings on tank cars have built-­in railings, they do not reach OSHA’s recommended handrail height for fall prevention. 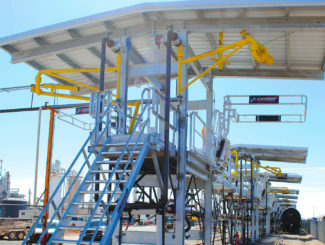 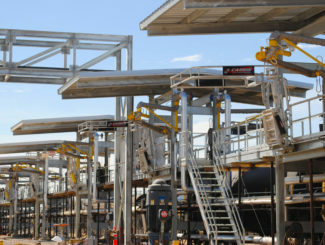 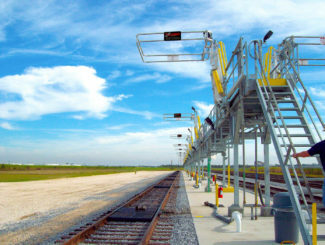 Even with an additional safety cage, an employee could fall by sliding beneath the crashbox/operator platform railing. 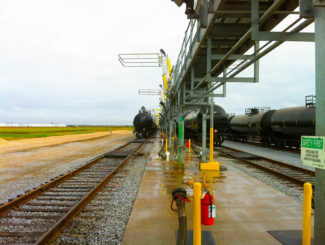 Since each unit train facility has different needs and potential hazards, it’s essential to work closely with a trusted vendor. 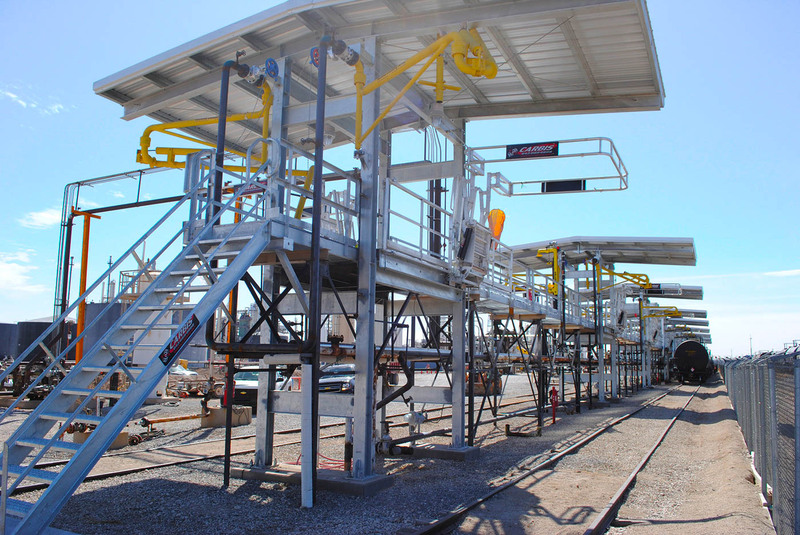 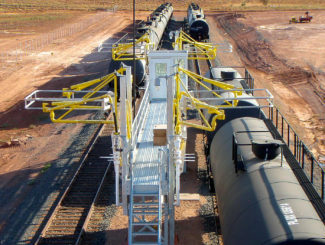 At Carbis Solutions, we create comprehensive rail safety solutions, applying more than 40 years of experience in fall prevention designs applicable to rolling stock. 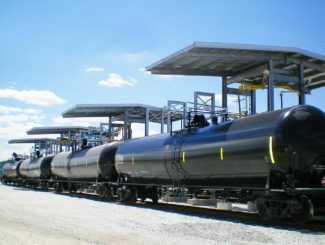 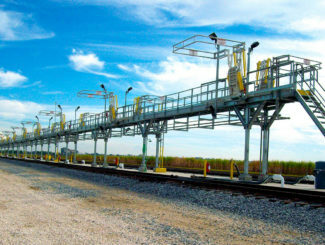 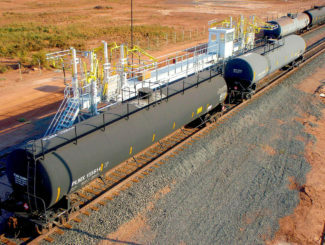 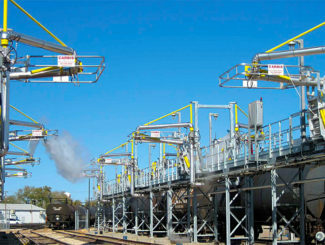 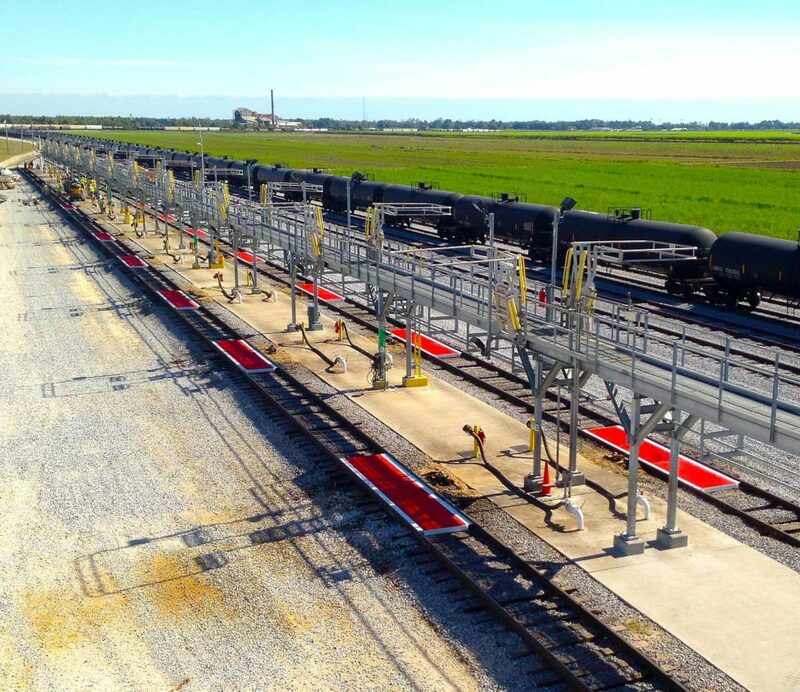 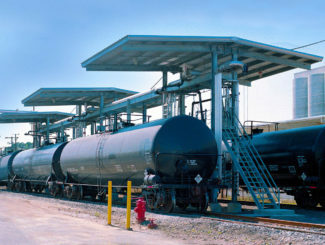 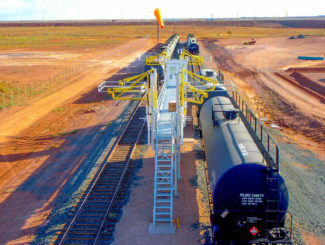 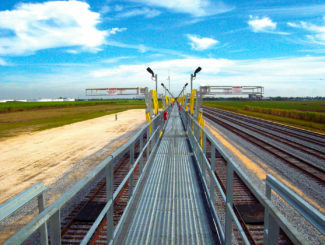 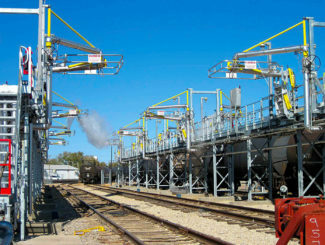 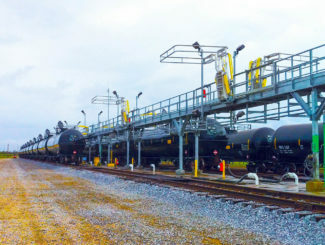 After assessing your company’s needs, we work with you to design a custom solution for your unit train facility to help improve safety and increase throughput.